No repellent is right every time. Click to find your best bet. Choose a repellent with picaridin at a 20 percent concentration, DEET at a 20 to 30 percent concentration, IR3535 at a 20 percent concentration, or Oil of Lemon Eucalyptus at a 30 to 40 percent concentration. 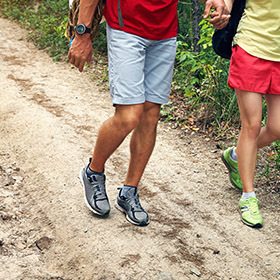 No repellent is 100 percent effective, so take extra precautions to avoid tick bites. Cover up with pants, socks and shoes and long-sleeve shirts, especially when venturing into heavy brush with likely tick infestations. Consider permethrin-treated clothing. 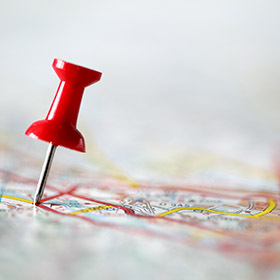 Check out the CDC's Lyme Disease maps to find out if you are in a high-risk area. Check for ticks thoroughly every night and remove ticks properly. Natural lemon eucalyptus oil is not the same as Oil of Lemon Eucalyptus. Wash your hands after applying repellent and wash repellent-coated skin at the end of the day. Choose a repellent with picaridin at a 20 percent concentration or DEET at a 20 to 30 percent concentration. Choose a concentration based on the amount of time you plan to spend outdoors. 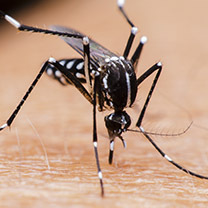 No repellent is 100 percent effective, so take extra precautions to avoid mosquito bites. Cover up with pants and long-sleeve shirts when possible, especially if you need protection from both the sun and mosquitoes. Choose a repellent with picaridin at a 10-20 percent concentration, DEET at a 7 to 30 percent concentration, or IR3535 at a 20 percent concentration. You may also consider a product with Oil of Lemon Eucalyptus at 30 to 40 percent, PMD at 10 percent, or 2-undecanone. 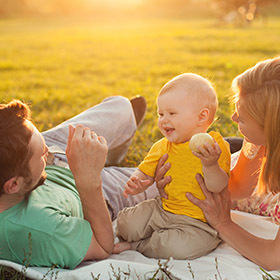 Choose a concentration based on the amount of time you plan to spend outdoors. Check out the CDC's West Nile virus maps to find out if you are in a high-risk area. Cover up with pants and long-sleeve shirts when possible, especially when venturing into mosquito-infested areas. PMD has a shorter protection time than other repellents. Choose a repellent with picaridin, DEET or IR3535. 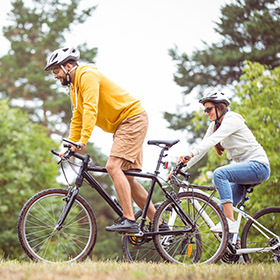 Choose a concentration based on the amount of time you plan to spend outdoors, and check with your doctor for other protective measures. 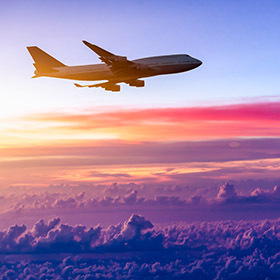 Risks vary by country, so consult your physician and the CDC or the World Health Organization's traveler information sites about risks in places you plan to visit. Bug repellent alone may not protect you from malaria. Check with your doctor. 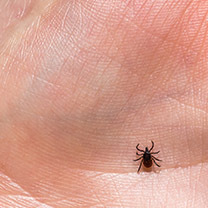 Click here if you are concerned about Lyme disease. Click here if you are concerned about West Nile virus. Otherwise, consider picaridin at a 5-10 percent concentration, DEET at a 7 to 10 percent concentration or PMD at a 10 percent concentration. Other botanical products may be worth considering (see note). Some botanical repellents may be worth trying if pest-borne disease is not a concern, but many contain highly concentrated allergens. Effectiveness varies widely, so you may need to experiment to see what works best for you. Choose a repellent with picaridin at a 20 percent concentration or DEET at a time release 20 to 30 percent concentration. Daily use of DEET for prolonged periods may be inadvisable. Consult your doctor. Choose a repellent with: Your best bet may be picaridin at a 5 to 20 percent concentration because it is less likely to irritate skin and trigger allergies. People react differently, so you may want to try other options to find out what works for you. 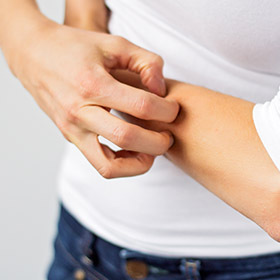 Try repellents on a small patch of exposed skin before slathering it all over. DEET and IR3535 may cause eye irritation, and DEET may cause skin irritation. Oil of Lemon Eucalyptus may cause allergic skin reactions. Many botanical repellents contain highly concentrated allergens. Choose a repellent with picaridin, DEET, IR3535, Oil of Lemon Eucalyptus, PMD or 2-undecanone. Choose a concentration based on the amount of time you plan to spend outdoors. Other botanical products may be worth considering (see note). 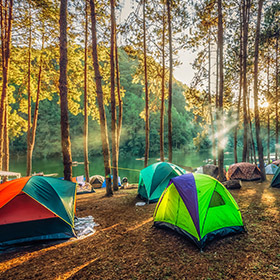 If the bugs aren't bad, consider going without repellent. Some botanical repellents may be worth trying, but be aware that many contain highly concentrated allergens. Effectiveness varies widely, so you may need to experiment to see what works best for you. Choose a repellent with picaridin at a 10 to 20 percent concentration, DEET at a 7 to 30 percent concentration, or IR3535 at a 20 percent concentration. You may also consider a product with Oil of Lemon Eucalyptus at 30 to 40 percent, PMD at 10 percent, or 2-undecanone. No repellent is 100 percent effective. Cover up with pants and long-sleeve shirts when possible.